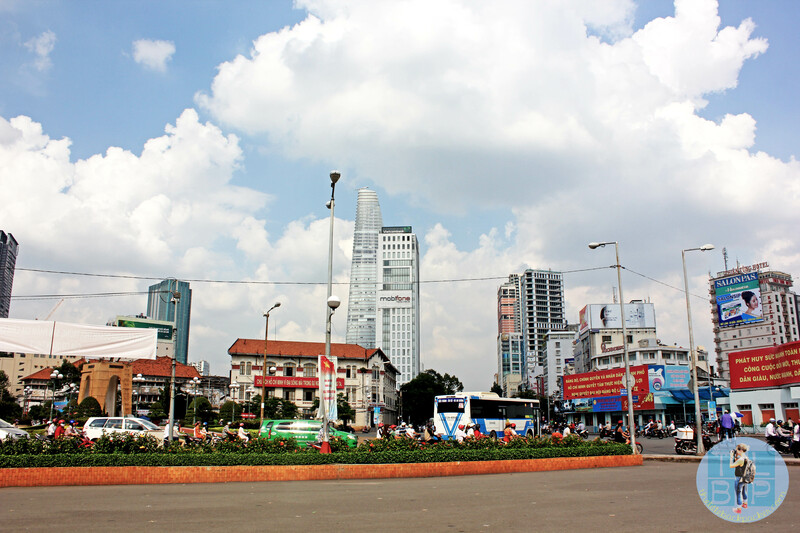 We arrived in Saigon from Cambodia and couldn’t believe the difference. It felt much more westernised, modern and just generally years ahead of Cambodia’s capital Phnom Penh. Whilst in Saigon we had one of our most packed days of travelling, with only a day and a half here we wanted to see everything possible. The first half a day was lost in a blur of getting money sorted, booking our onward travel with The Sinh Tourist bus, working out how to cross the road and just generally being completely overwhelmed by it all. Vietnam is known for motorbikes but I can’t even begin to explain the sheer amount that is actually on the streets of Saigon. The rest of Vietnam including Hanoi was nowhere near as hectic as this crazy city. It was beyond what I could ever have imagined, just crossing the road took five minutes and that was only if you were brave enough to walk out in to the traffic! Get up early – See the locals exercising in the parks before the heat hits and then grab some breakfast ready to start the day. Head to the War Remnants Museum first – If you are staying in the Pham Ngu Lao area then it is a 20 minute walk away, easy to navigate but takes time crossing all of the roads. The museum itself is easy to find with all the aircrafts and tanks outside. We paid less than a $1 for the entry fee and spent a few hours wandering around learning all about the French war in the 50’s and the America war afterwards. Some of the stuff was horrific to learn about; American soldiers killing whole villages and innocent people, the use of the ‘orange dioxide’ and how people have been left with body defects, land still poisoned and the defects being carried in DNA. There were some very good photo exhibits all very graphic and hard hitting though. The museum was good and I was very glad I went to learn more about the war however parts of it were very one sided to Vietnam, you only read bad things about the Americans. The museum closes at 12 for lunch so make sure you time your visit right. 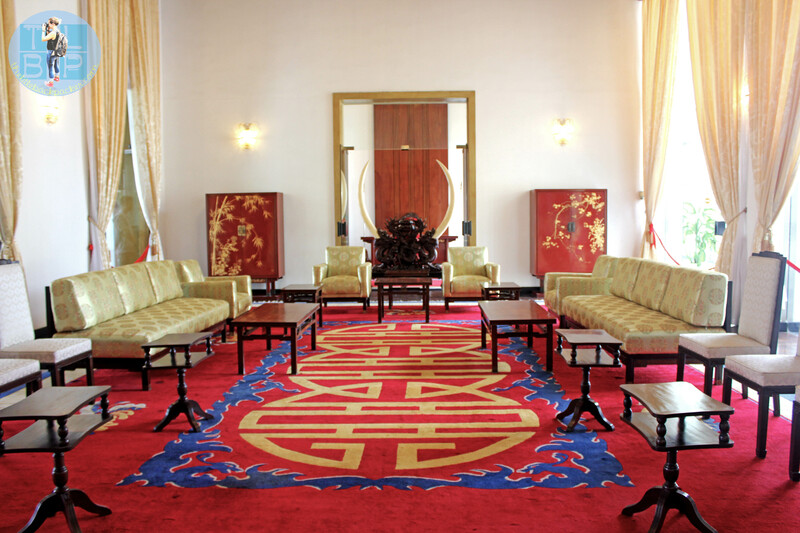 Next go to the Reunification Palace which reopens at 1 after lunch giving you time to wander around the area and chill in the shady Cong Vien Van Hoa Park opposite away from the sun. The first room of the palace is bizarre and not really anything to do with the Palace exhibition, ignore that and walk in further. The rooms are all laid out like they were in the 70’s when the war ended. Make sure you get a map so you can see what each room is you are looking at. It smells old inside but the rooms are fascinating to see. Despite this we didn’t spend half as long here as the War Museum. Our next stop was the Ben Thanh Market for some lunch and a bit of shopping on the walk back to the hostel. We headed straight for the food section as we were starving! Every place tried to thrust menus in our face but you just have to pick a stall and sit. This way the other stalls back off and you can properly look at the menu. Being in Vietnam we wanted to try the traditional dishes of Pho and noodle soup. It was good and cheap but not something I would want to eat every day! The market itself is crazy; whichever direction you walk in people will shout at you and touch you, while they thrust something you might like to buy in your face. If you aren’t looking for anything in particular the constant questioning of what you want to buy might start to bug you. We quickly bartered down the items we came for and made a run for it! The constant shouting and touching drove me mad it made me realise the huge culture difference of Asian markets to in the UK. With such a jam packed day and the heat beyond pleasant we took an hour to freshen up and chill away from the heat. Head to the Pham Ngu Lao area for the evening and you will find plenty of choice for food and drink. I would recommend highly the two places we tried: Alley Cat and Zoom Café. Zoom Café is located on a busy street corner and is the perfect place to watch the traffic go by, there are literally hundreds of motorbikes passing every minute! The food is great and well-priced, I had pineapple and bacon fried rice which was served in a pineapple! Alley Cat is tucked away in one of the alleys and also has great food but lacked in a good atmosphere as we were the only customers. I had a sweet and sour dish while my boyfriend ordered sewers which he cooked himself on a little grill thing they set up on our table. The beer was cheaper here too. We also checked out Allez Boo bar but like some of the others in the area it was very touristy and much higher priced. You are definitely better off sticking to the smaller less touristy bars to get better prices and in my opinion better food too! Saigon also known as Ho Chi Minh City is in the south of Vietnam; it might not be the capital these days but it sure is one hell of a city. 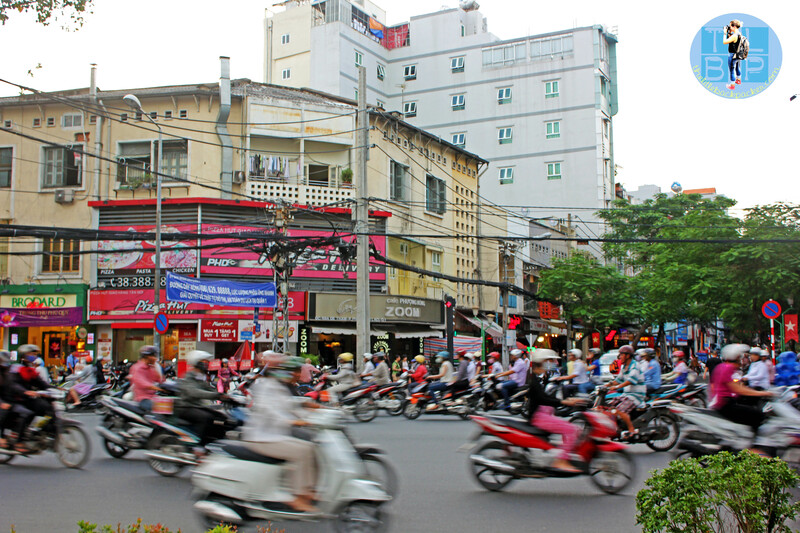 I preferred the craziness of Saigon to Hanoi – it was easy to navigate and had a very different feel. For most people it will be the beginning or end stop in Vietnam – if it is your first stop it is certainly the perfect welcome to what Vietnam is like. 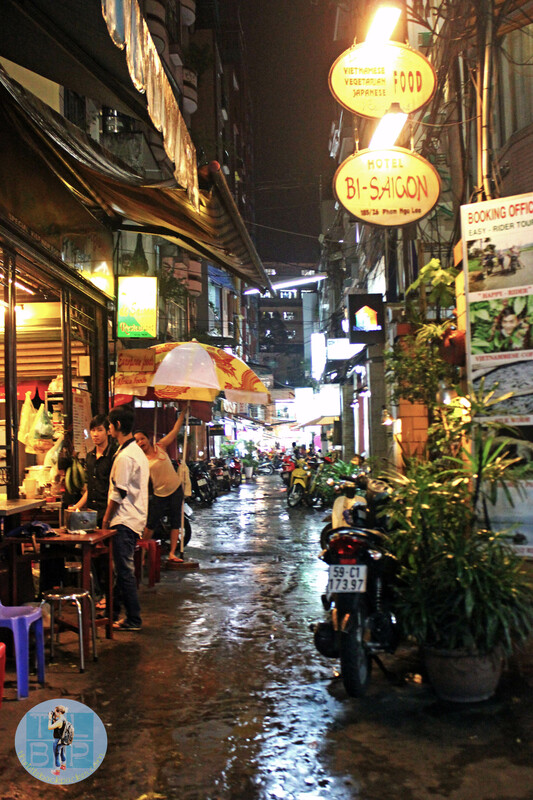 I was very unsure about Saigon when we first arrived but I thoroughly enjoyed my time there. We stayed in the Vinh Hotel on De Tham road, it had lovely rooms and friendly staff, the only negative was that it had no communal area. Have you been to Saigon? What did you think? If you are heading to Vietnam soon then check out my two week itinerary for some pointers. 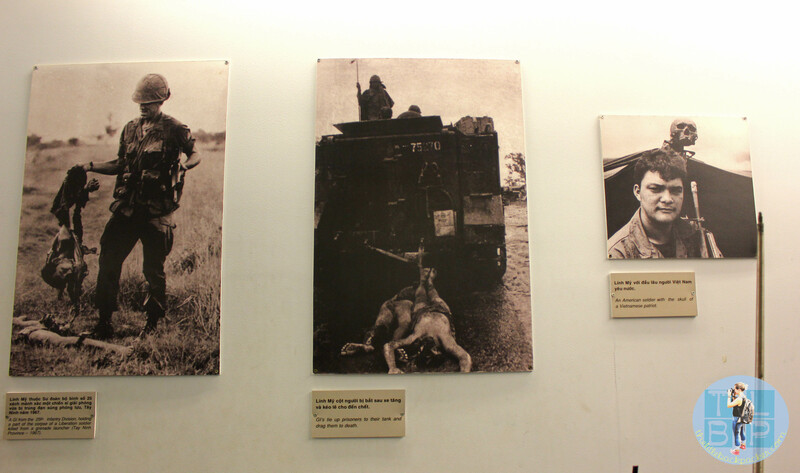 I agree that people should see the war remnants museum first – if you only see one thing in HCMC, it should be that! I beg of you to not judge any Vietnamese food by what you eat in a tourist area like Ben Thanh Market or Pham Ngu Lao! Trust me, they’re inferior (and overpriced) versions of the real thing. And the real thing is certainly worth writing home about (still not something you could eat day after day, though – trust me)! Also, Ben Thanh market is not an indication of what markets in Asia are really like. I feel sad that the market has become THE place tourists go, as there are virtually no redeeming features to it, apart from perhaps the historic building itself, but there are far more impressive markets – such as the one in Cho Lon – and people will not harass you like they do in Ben Thanh market. Neither my local wife nor myself (an Australian) have any positive feelings for Ben Thanh market, and we both feel sad about the inaccurate impression it gives visitors of Vietnamese markets/food/people. I’m really glad you enjoyed your visit to this city. Honestly I enjoyed Hanoi more than here when I was travelling (for a photographer, the old quarter is paradise), but this is a better city to live in (at least in my opinion) out of the two. Looks like an action packed day – can’t believe you found somewhere worse than Hanoi for motorbikes! Traveling really makes you realize the difference of every corner of the globe. Vietnam has very beautiful nature and the culture is interesting. Good thing you still enjoy your trip in Vietnam.